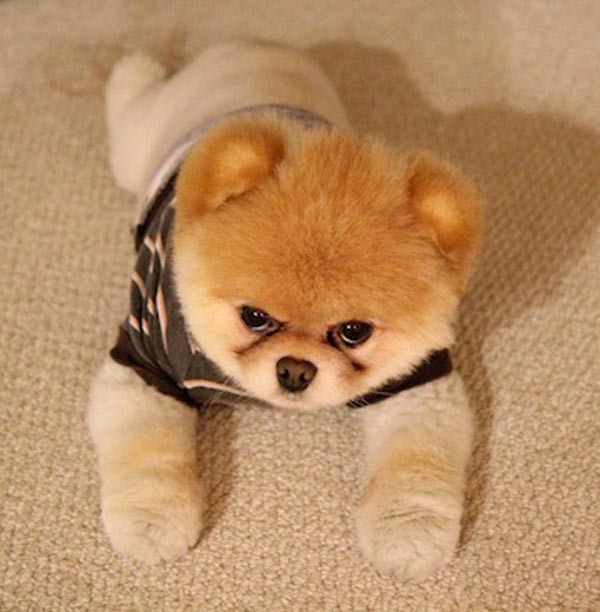 Have You Ever Seen Puppies Look This Cute and Expressive! Everybody has their good days and bad days and dogs, like humans have them as well. 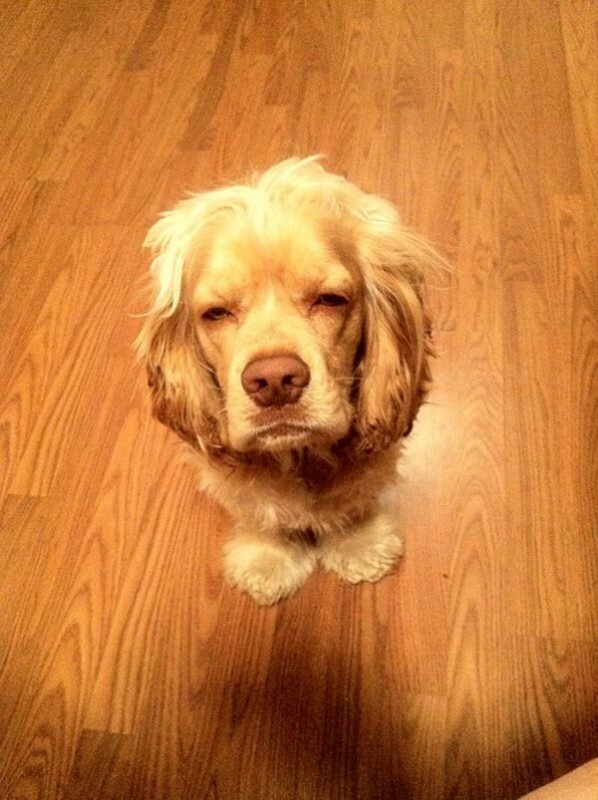 And, like humans, it’s hard for a dog to hide an emotion when it displays so obviously in the face and eyes. 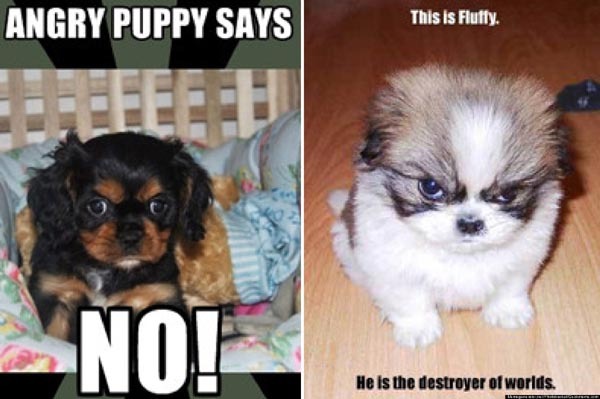 But what really makes these pictures so funny is the cuteness of these puppies expressing how they really feel with the look on their faces. We hope you enjoy and please remember to SHARE us with your friends and family! 3. 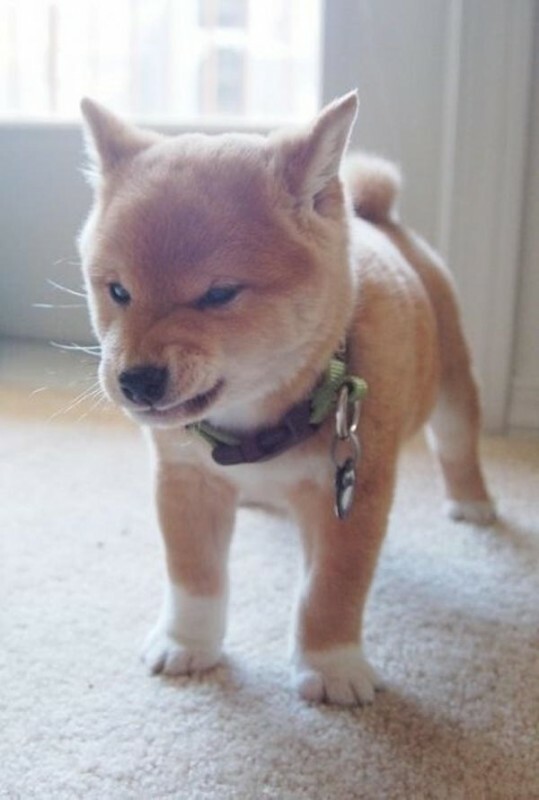 Angry puppy says no. 4. 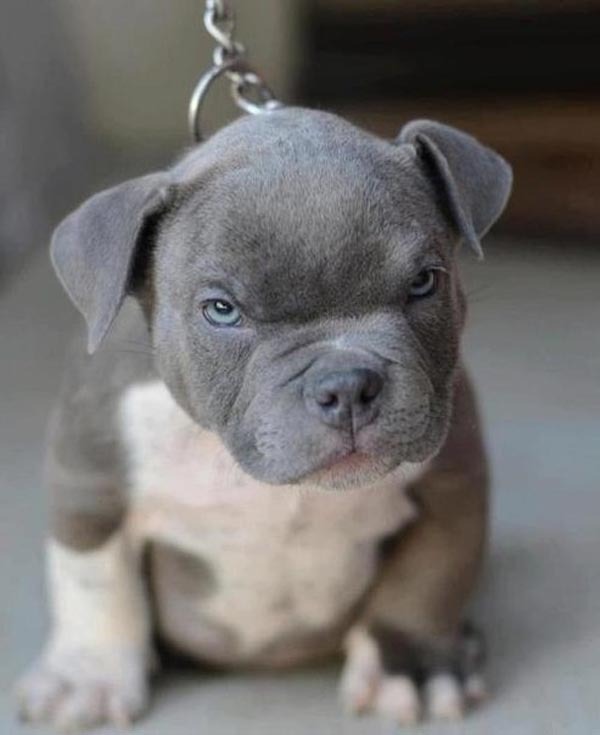 This little bully thinks nobody can defeat him. 5. Looks like he wants more milk! 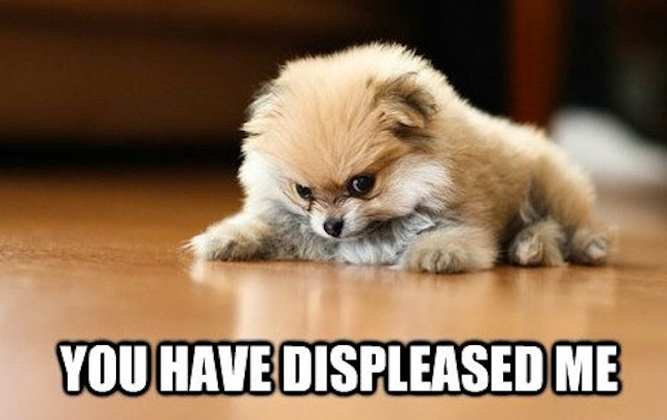 Click the “Next” Button Below for Angry Puppy Pictures 6-10!